…until the first time I tried it. Turned out, Beretta 12S is an ergonomic nightmare, with badly designed sights and safety. 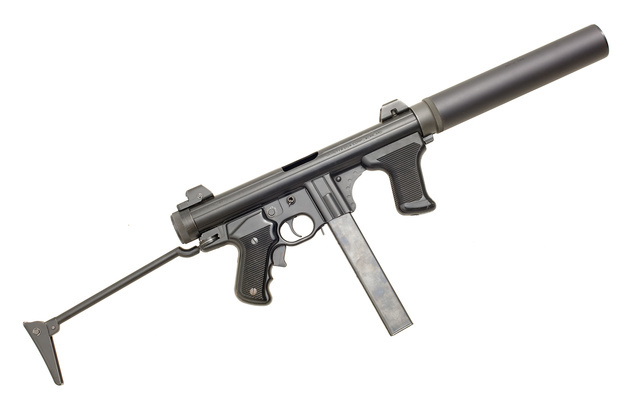 The back-pressure from the sound suppressor also threw gunk into the user’s face from the ejection port. Had submachine guns been in wide civilian use, they would have improved a lot quicker than in our reality…there’s no substitute for a large non-institutional user base when it comes to refining a product. This entry was posted in rkba, sound suppressor, weapon and tagged 9x19, submachine gun. Bookmark the permalink. So, it’s true to most other Berettae. Your linked essay on the importance of customer feedback was interesting and informative. Thank you. I entirely agree with your points. I must wonder how, say, the M-1 or M-1911 (or even the XM-16E1) would have turned out had they been on the civilian market for a decade or so before our troops had to use them in combat. For that, your best bet is probably to look at the state of the AR market in 2004 when the Federal AWB expired, and compare it to the market 10 years later in 2014. Predecessors of the 1911 were on the market…which solved a lot of problems in the “parallel ruler” system Browning started with. I’ve always thought the 12S was a sweet looking gun. Interesting to hear it’s not all that! One of my favorite buzzguns. I have an old replica non-firing-not-even-airsoft Beretta 12. Not surprised it isn’t actually very useful.